You can have a full test on CnetSDK .NET PDF Barcode Reader SDK before deciding to order a license. The free trial package is offered for your evaluation. This .NET PDF barcode reader library is an independent library that can be easily integrated into your .NET applications. It supports most popular 2D &1D barcodes reading from PDF, like QR Code, Data Matrix, PDF417, Code 128, Code 39, EAN/UPC, and Interleaved 2 of 5. We provide a demo project in the free trial package for your quick reference and evaluation. 1. Download a free trial of CnetSDK .NET PDF Barcode Reader SDK. 2. Unzip it and you will find CnetSDK.PDFBarcode.Reader.Trial.dll. 3. Add CnetSDK.PDFBarcode.Reader.Trial.dll to your Visual Studio .NET project reference. Moreover, you should copy CnetSDK.Support.dll from x86 or x64 folder under Lib folder of the trial package to your C# project bin directory, Bin\Debug. For VB.NET project, you also need to do this but should copy the dll to your project folder Bin\x86\Debug or Bin\x64\Debug. CnetSDK designs several accurate PDF barcode recognition methods for your C# .NET applications development. 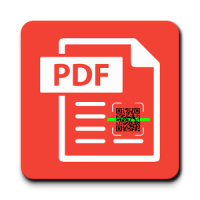 You are able to scan and read single or multiple barcode types from PDF document. And you are allowed to specify where (PDF page or pages) to read and recognize the barcode(s). The following C# example for PDF barcodes scanning and reading may help you to test some of the functions quickly. We also provide a demo project in the trial package, you may directly download a free trial to see more. In addition to using CnetSDK .NET barcode reader library for PDF in C# programming project, you can also integrate it into your VB.NET projects. And VB.NET PDF barcodes reading example is provided here.